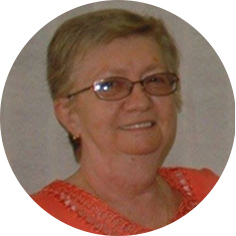 Donna Mae Lampier, aged 71 years of Moose Jaw, SK passed away on Wednesday, August 15th, 2018. She was predeceased by her husband, Paul; father, James; and daughter, Michelle. Donna will be lovingly remembered by her mother, Irene; son, Ron; sisters: Cheryl, Joanne, and Tammy (Morris); brothers, James (Carol) and John (Gail); as well as numerous nieces and nephews. In keeping with Donna’s wishes, a Private Family Service will be held. As an expression of sympathy, donations in Donna’s name may be made to a charity of one’s choice.